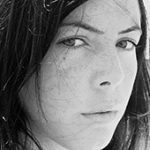 Since 2006, Federica Matelli has worked as an independent curator and researcher. She has given conferences in the Philosophy and Art History Departments of Pisa University and MECAD. She has also collaborated with Renato Minucciani (Florence) and from 2004 to 2007 with Alter Ego Gallery, Barcelona. From January 2005, she started collaborating with GEIFC, Contemporary Phenomenon Study Group (Barcelona), for whom she wrote several articles. She worked on the 15th and 16th editions of Invideo, Internacional Exposition of Video and Cinema Beyond (Milan). 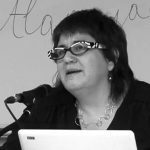 Diana Padrón Alonso has given conferences and teaching sessions for University of Barcelona, Escola EINA, Arts Santa Monica, University of Vic and Universität für Musik und Darstellende Kunst Wien. 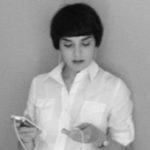 She collaborates with contemporary art journals such as SalonKritik, Interartive, A*Desk and REG|AC (Journal of Global Studies and Contemporary Art). She works as an independent curator, directing various exhibition projects such as Perder el Norte initiative. She has participated in seminars about contemporary thought organized by different centers and international institutions, where she has received teaching by among others Jacques Rancière, Giorgio Agamben, Walter Mignolo and George Didi-Huberman, inter alia. Marta Dahó (Milan, Italy, 1969). Degree in History of Art in the specialty of contemporary art from the Universidad Autónoma de Barcelona (1995). Master in Advanced Studies in History of Art from the Universitat de Barcelona (2012). She is currently a PhD student at the Department of Art History of the UB with a thesis under the direction of doctors Martí Peran and José Enrique Monterde. 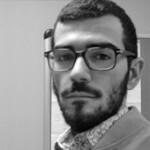 His research area focuses on the study of photographic practices in the artistic field and the representation of the territory in the era of global modernity. She is a teacher and curator of exhibitions. Christian Alonso has coordinated different academic events such as International Conferences, Symposia and Seminars on contemporary art and critical thought. 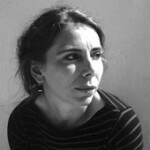 Coordinator of the four editions of the program on curatorial studies On Mediation (2013-17), coordinator of the Ist International Symposium Mutating Ecologies in Contemporary Art (Macba, 2016), curator and artistic director of the exhibition Machinic Recompositions (Can Felipa Cultural Centre, 2017), co-curator of the exhibitions Enésima Intempestiva (àngels barcelona – espai 2, 2016); Tedium Vitae (ADN Platform, 2015); Barcelona Inspira (Cercle Artístic Sant Lluc, 2014), and initiator of different self-managed projects. From October 2011 he is been collaborating with the research group AGI (Art, Globalization, Interculturality) in the frame of the project Critic cartography of Art and Visuality in the Global Era: New Methodologies, Concepts and Analytical Approaches directed by Dr. Anna Maria Guasch at the University of Barcelona through a Predoctoral Scholarship provided by the Spanish Ministry of Economy.